Anna Mosca (Milan, Italy) is a poet, an artist and a photographer. She lives for many years abroad, in several different countries, until her return to Italy in the new Millenium. In the last couple of years she has resumed traveling back an forth to the U.S.A. as she’s collecting material for her new poetic and photographic project, a book in volumes. Her artistic walk begins as a painter and sculptor in the United States of America to move on to the new skill of “thoughts sculpting” around the year 2000. She studies Fine Arts in United States of America and later continues her studies at the Academy of Fine Arts of Brera in Milan, Italy. Her graduating thesis, on Conceptual Art, is titled: “The Word Becomes Art”. Through the years she plans and realizes her own shows and performances of Conceptual Nature, in which she emphasizes the use of text. Poetry has been a recurrent tool in her expression. In photography as well – where she keeps up the pursue of her visual artistic research by playing with light, spaces and lines – her images have the synthetic structure of poetry. She writes poetry both in English and in Italian. Anna Mosca (Milano) é poetessa, artista e fotografa. Vive per esigenze lavorative in diverse capitali estere fino al suo rientro in Italia al sorgere del nuovo Millennio. Negli ultimi anni ha ripreso a viaggiare tra Stati Uniti e Italia mentre lavora a un progetto poetico e fotografico in più volumi. Opera inizialmente nelle arti visive come pittrice e scultrice negli Stati Uniti d’America, con una svolta definitiva all’Arte Concettuale intorno all’anno 2000. Studia Belle Arti negli Stati Uniti d’America. Successivamente si laurea all’Accademia di Belle Arti di Brera con una tesi sull’Arte Concettuale dal titolo “La parola si fa arte”. Negli anni ha ideato mostre e performances personali di natura concettuale, mettendo in rilievo – principalmente – lo sviluppo del concetto attraverso la parola. In particolare è ricorrente, nel suo percorso, l’utilizzo della poesia. In fotografia continua la sua ricerca teorica mediante la fusione di luci, spazi e linee, che rimanda molto alla sintesi della poesia. Compone poesie in inglese e in italiano. This blog is intended to be a collection of selected writings aimed to be shared on line. Under POETRY you will find the poetry I wrote in English and under POESIA the poetry I wrote in Italian. 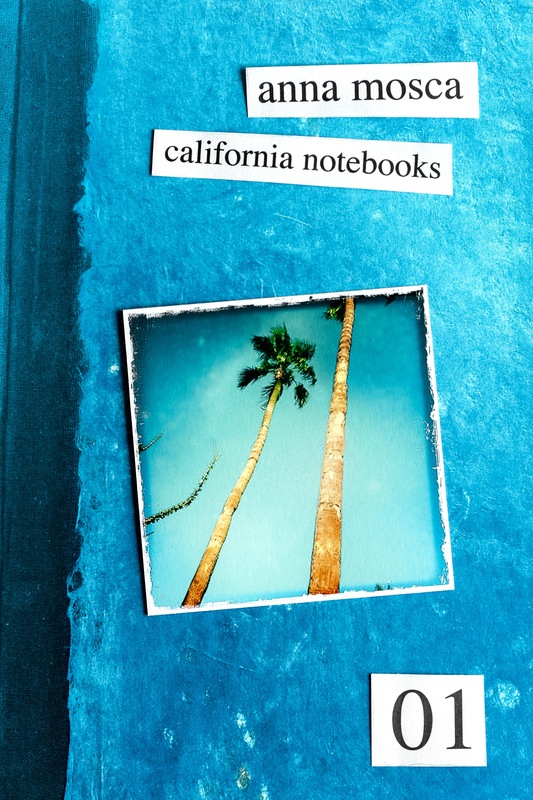 It’s important to me to let you know that none of this work (except the Psalms and the collections California Notebooks, unless noted otherwise in each post) is translated into one or the other language. All work is original in it’s own language, meaning you would not find always my Italian poetry translated in English and vice-versa. I feel they are two different cries and different expressions from my heart and wish it to stay this way for now. Although, I’m eager to give you language classes if you wish, LOL, each country and each season has its own colors and globalization has not gotten that deep down into my soul yet. I hope you enjoy browsing, as well as lingering on the taste of my poetic lines in English. All images and text on this blog are copyright © of Anna Mosca and cannot be copied, downloaded, translated or used in any way without express written permission. Questo blog intende essere un archivio di scritti selezionati con lo scopo di essere condivisi in rete. Sotto la voce POESIA si trovano le poesie scritte in italiano e sotto la voce POETRY quelle scritte in inglese. Mi preme farvi sapere che al momento nessuna delle mie opere (a parte la collezione “Salmo uno, due, tre…”, i Quaderni Californiani o altri post in cui viene aggiunta una nota) è tradotta da un linguaggio all’altro. Ogni componimento è lasciato originale qui, nella sua lingua d’origine. Il che significa che non troverete le poesie scritte in italiano nel menù Poesie tradotte in inglese sotto Poetry e viceversa. Sento che sono espressioni, a volte urla, che emergono in maniera diversa dal mio cuore e desidero che mantengano la loro identità di nascita per ora (sono disposta a darvi lezioni d’inglese, perché possiate leggerle tutte, 😉 … ). Ogni paese, come ogni stagione, ha il suo colore e la globalizzazione non è ancora scesa così profondamente dentro la mia anima. Mi auguro che troviate piacere a girovagare, a soffermarvi tra le mie righe e ad assaporare il loro gusto. 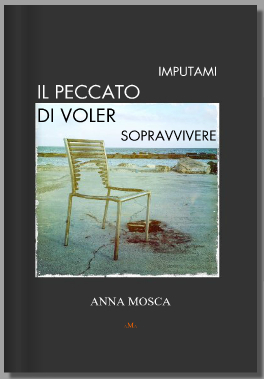 I testi e le immagini di questo blog sono proprietà di Anna Mosca © e non possono essere copiate, scaricate, tradotte o usate in alcun modo senza il previo permesso scritto dell’autrice. complimenti per il tuo lavoro, anna. Thank you for the like on my poetry post Altar Cloth today. being a new blogger, I am amazed at how much poetry is out there! ringrazio per aver “prestato” il preziosissimo Salmo n.2 alla mia immagine in Ri(e)voluzioni…. buona visione e arrivederci alla prossima occasione. Your poetry is wonderful!!!!! I love the way you play with words. Thanks for the like on “Leading literary figure..” on The Noah Project. No sweat, I appreciate the connection. Your blog looks so lovely! I like what you say about keeping the two languages separate. Language is powerful. I always find bi-lingual people have slightly different personalities in each language. So sorry I can’t read or speak Italian but will enjoy the English poems. Thank you Safia! What you percieved is true, even my voice, I’ve noticed, changes between two languages… different tones. Now I wish I could understand Italian too.. your English poems are enthralling..thanks for visiting my page and glad you liked the bit of writing there. Is there a space where I can see your art too? Hello, thank you for liking my poem “Narcissus”. I enjoy your poetry very much, and look forward to reading more. Thanks again! Hi Anna. Nice to meet you. Thank you for liking my poem ‘ From The Battlefield! Best wishes, The Foureyed Poet. Hi, Anna…I am enjoying your poetry very much and so glad I found you amidst so many blogs. Thanks for visiting my blog, too! I’ll be back. Have an awesome weekend. some unique thoughts on this subject matter. Really. How are you? I have nominated you for the “WordPress Family Award”. I consider you as one of the few inspirational bloggers here on wordpress. Kindly accept it and you may either pass it on according to rules or deny the rules. hello there.. great pieces you have here.. Thank you for liking my post “700 Light Years from Earth”. It means a lot to me coming from one with your level of talent. Your work is very good. Thank you again. thank you, you are very kind! keep up the good work. Hi, sorry for the delay in replying… there are some but in Italian I’m afraid, but do not give up, some may come in English too! Hi, Anna. You provide a nice mental picture when you write, even with short verse. I really like your work… and the diary idea. Thanx for visiting my site. Have a wonderful day! Thank you for the nice feedback! Have a nice week-end! Ah! I wish I knew Italian 🙂 But I did enjoy the ones in English. Thank you for the like. Thank you Mo for taking the time to read! Anna, your combination of paintings and poetry resonates with me, as I have done the same thing. It is not how I make my living, and I have not painted much in a long time, but when I did paint, and when I exhibited in art shows, I usually accompanied my paintings with poetry. You can read more about this on the “About” section of my blog. Thanks for sharing, and thanks for being. Thank you for liking my poem, When Time Ticks Away. I enjoyed reading your poems too. They are really lovely! You are fortunatee in being able to use more than one language. Different sounds, different views, different music. A valuable skill! Good for you!! I like the fact that you stay true to the language that represents the feeling of the poem!! Thank you so much for sharing!!! Fabulous! Thanks for stopping by my little blog and putting a “like” i=on it. I love your concept of “thought sculpting.” I will think about it for a long time. Thanks for stopping by Anna. And thanks for sharing your poetry and images! Thank you for the like and for reading “Facets”. thanks, anna. i appreciate your taking the time to read my latest post. i also hope to make it to italy some day. i’ve heard it’s a remarkably beautiful country. Life comes to the words semiotics translation! First let me thank you for visiting my site several times I’m really glad that you liked epistemology. Also I may take you up when you’re targeted language courses just so I can read what you’re writing. É un blog molto interessante. Probabilmente non ti ricordi di me, ma io ho già usufruito delle tue ripetizioni di inglese nell’anno di grazia 2008 (ricordo che leggevamo kafka in inglese per fare pratica) e se ho saputo sputare due parole in inglese quando ero all’estero (ed essere compreso) in parte lo devo anche a te. Anche io scrivo poesie (in italiano e in inglese), mi piacerebbe, se hai tempo e voglia, avere una tuo opinione. ciao!!! ma certo, mandami pure un link o un file ma tra un paio di settimane x favore, k ora sto partendo x e dimenticherei… mi raccomando, mi sono incuriosita! grazie x il feedback sul tuo percorso inglese, grata d’esser stata utile (sopratutto con Kafka!). ma come sei capitato sul mio blog? In un tortuoso giro di social network e blog che faccio la notte quando non riesco a prendere sonno (e non ho ispirazione per scrivere). Su twitter mi trovi come @nico_gate120, se mi fai sapere un indirizzo email (in privato) ti mando un file. Ricordo anche che avevi uno strano interesse per i “disegni” e ghirigori che facevo annoiato a scuola…e che continuo a fare ora durante alcune lezioni universitarie neanche fossi jackson pollock haha! Fammi avere un indirizzo e buon viaggio! Oh, I love how you made your blog bilingual! such hard work! Grazie… for noticing my little verse. I am enjoying your work immensely. Thanks for stopping by my blog Anna, and appreciating my work. I look forward to discover and enjoy the precious pearls you have woven. Hi Anna, just to let you know that I have nominated you for the Sunshine Award.. Thank you indeed!!! how does that works? Thank you for reading my latest piece and for sending a “like”. I was appreciate it when someone takes the time to read something I have created and to me the support of a “like”. Thank you for liking my poem. I will try to keep posting. We seem so similar from your description. I will check out your work. Lovely blog! Gratzi for checking mine out! I can relate to that voice. This is a fantastic blog! I’m not sure why I couldn’t find it yesterday! I love the fact that this is a bilingual blog too! I will definitely be following your work! Thank you again for taking the time to look at mine! Have a great day! Thanks for your visit and like of my post Thursday lingering look at windows. I have read some of your poems and will definitely be back for more. Thanks so much for liking my poem ‘A rain drop away’. I am new to blogging and this is a huge encouragement. Moreover I am happy to have been introduced to your blog through this gesture. Will keep visiting 🙂 Cheers! Hello Anna! Thanks for the follow. I really like your work. I really love how you write in Italian and English and don’t translate them back and forth. It gives each poem a different personality; its very profound! Hi, not sure now, maybe we had some tags in common such as Italy or else? My dad’s name was Luigi (but I didn’t use it as a tag). Anyhow when you put tags your posts falls into categories, the ones I use more often are poetry and photography for example, but sometimes the name of places mentioned in the post or such. This way people interested in these places or categories will run into my posts. Hope this was helpful, ciao! David if you are connected with Google, they will do it for you…others will to,nothing is private online. Congratulations! I’ve nominated you for the Dragon’s Loyalty Award! Check out this post for more information on your nomination. hello sunshine! always a treat to see your face when you come to visit. Arrivederci and tanta felicita per it Nuovo Anno !!! Anche a te tanti auguri, felicità, e buon blogging per il nuovo anno! Grazie per essere passata dalle mie parti e aver lasciato un mi piace alla mia poesia A…Mare. Figurati, mi è piaciuta molto. Buona scrittura! Thank you for following my blog too , I enjoy reading your poetry, very enlightening , I really appreciate it and hope you have an amazing new year ! :)..keep the outstanding writings coming in …standard ovations! Anna… Thanks for your like. I blog is intriguing and I’ll enjoy spending time with it. Dear Ms. Mosca, I nominated you for the Awesome Blossom Award due to your beautiful poetry (http://listeningdaisy.wordpress.com/2014/01/05/awesome-blossom-award/)! Love your blog format Anna- I just changed to this the other day! Looking forward to reading more of your poetry as I look through your site. Hi Amnna. Just goy your comment. I’m bilingual Italian/english so no problem. I too lived in L.A. for many years. Just south of Hollywood. Thanks! Your work is inspiring! Keep it up! Tantissimi anni, davvero, e non sembra vero… trovarti qui, che sorpresa! Grazie per i complimenti 🙂 ricambio l’abraccio. Ma tu dove sei e che fai? You are welcome, thank you for popping up in here. Thank you for following as well, I wish I could understand other languages, for I’m sure each language presents a different format for presenting the beauty of language in it’s own unique way. I look forward to reading more of your work. Keep up the good work and continue to fuel your passion! I will! thank you for the encouragement. Same to you. thank you for following my blog…i really like yours. it is a definite sight to see, full of life and all of your passions. i was wondering if you could give me some suggestions on bettering mine and possibly increasing its flow of visitors. Hi, thank you for your note and appreciation. I don0t know that I can be of much help as I’m myself still trying to figure out a few things about WP. My flow has increased since I started to read and follow other blogs and interrelate with others. The law of “do to others as to yourself” seems to work on WP too… 😉 Your kindness will return to you. Thank you for your like of my prose “Remember Me.” From what I’ve seen and read, you are quite beautiful on the inside and out, as is your body of work. Thank you for recognizing the beauty within me expressed in my own writing, and for following my blog. I hope you find other writing, poems, etc. that you like, but I must admit I tend to write more on politics. Thus, I may not explore the artistic aspect of writing to the extent I should, but perhaps reading more of your work will inspire me. I enjoy your poems. I completely agree about not translating poems. In the times that I have it ends up being something completely different. thank you for following my blog, anna. you’ve got some really great poetry here, very evocative, and I like the sparseness of the lines. saying so much in so few words. well done. You are welcome and thank you C.M. for your feedback, is specific and to the point. Appreciate it. Thank you for liking my post, Anna! 🙂 Beautiful blog you got. Thank you for liking my post! 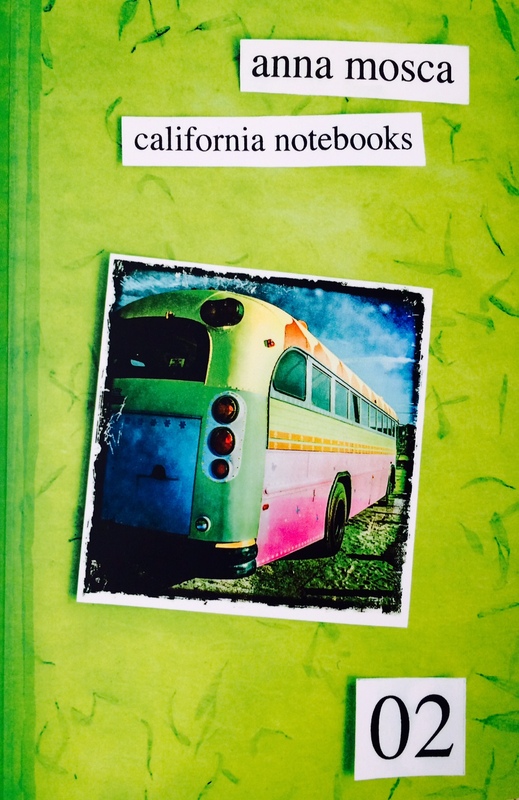 I hope it gives you some insight into education in the LA area in the 1960s. Anna, thank you for liking my post. I’m looking forward to reading more of your poetry. Grazie Anna per passare dal mio Blog, grazie davvero. 🙂 molto bello quello che scrivi. Brava! You are truly an Artist–with deep feeling–a conductor–a symphony–of talents. Nice comment to read, actually super nice one! Thank you, blessings to you. Thank you for your continued attention to my efforts, Before A Meeting, being the most recent entry I have made. I notice that you have many interests- whew! You’ll be difficult to keep up with, but exciting, as well. I am honored that you found my blog and liked it. I look forward to reading much more of your. Anytime Harold, anytime. I’d like to see you around my next posts. Keep up the good work! I like the idea of thought sculpting. I will be quoting you. I’ve often read my work aloud to hear it’s cadence, but never considered it’s sculptural shape. I too am a writer, artist, photographer. Thank you so much Graham for your kind words, glad you like my poetry. Hi Anna,Thank you for visiting my blog. Also, I find it really interesting that you have a multilingual blog. All the best for your blogging venture. Thanks for stopping by my blog. I love seeing more poetry online! Good luck to you! such an amazing voice you have–it sings–even from the page. I couldn’t agree more about the translating thing–as a person who spent some teenage years in Switzerland (and read Goethe in German) I think yes. Each language is an instrument in itself–not to be “knocked off”. Hi Charron, so glad you understood my point of view! Thank you for such a nice comment and for reading my work. Peace to you. You are most welcome, happy you took the time to go way back into my posts and didn’t read just the very last ones. I appreciate that and your feed-backs. Hi Anna, thanks for liking ‘Poor little Goldfish’. I’m afraid I have just taken a peek at your blog (under time pressure at the moment!) but can see you’re a serious poet and will look more closely at your poetry when I can. Best wishes to you and good writing! Good writing to you too and best wishes. When you got a minute to come back and read let me know what you think! Great writing! Thanks for stopping by my blog. I took a look at some of your poems. You have a nice collection. Grazie for the like, Anna. I look forward to reading/seeing your art. Anna, thanks for liking my post. I enjoyed your writings as well. Glad you did, hope to see you around in the future. By the way you are welcome, about your poem, my pleasure John! Anna, thanks for taking a look at the Hammer home Street photography Project. Thanks so much for stopping by my blog. I’m looking forward to looking around yours. Poetry is such a new experience for me! Welcome Vanessa, hope you enjoy what you’ll see around here! I’m wondering if this is the only location to post a comment? I read the first two poems and wanted to, but could not find a place. I suppose it may be due to my age and inability to navigate blogs. I very much appreciate your clean lines and connectedness from one to the next. In your poem regarding the luminous necklass and the disco, I was reminded of my children, grandchildren and nieces and nephews who gather annually at a beach in North Carolina, and celebrate our 4th of July by adorning themselves with glow-in-the-dark, multi-colored plastic tubes. And thanks for visiting my writing website. Thanks for liking my poem “The Versification Subtle”. Thank you Meenas keep up the good work! All right, see you around then, you are most welcome about your poem. Thank you so very much for viewing my blog & commenting on it! how great an encouragement is that. You are very welcome, my pleasure Ray! Great Poems. Keep up the good work Anna. > I’ve been asked to take part in a Writing Process Blog Tour and I’d like to nominate you as one of three writers to pass the tour onto afterwards. Do you fancy doing it? > 1) What am I working on at the moment? > 2) How does my work differ from others of its genre? > 3) Why do I write what I do? > 4) How does my writing process work? > If you’d like to take part then just send me a short bio and I will include this and a link to your blog when I do my post. I love reading your poems, I even read them in Italian, even though I can’t read or speak Italian. I have featured you on my weekly blogger recommendations as a blogger I truly enjoy to follow. Here is the link: http://wp.me/p4gNzR-o6. If you wish for me not to feature you for any reason please let me know and I will remove it from the link 🙂 with no offense taken…Hope you have a great weekend! Hi Neha, totally glad you mentioned me on your blog, thank you!!! It was nice to read the other poets too and learn about their poetry. I think you are doing a great work, for your readers and for poets, keep it up! I AM HONORED that one of Italia’s best has come to be with US … and ‘teach’. Thanks ever so much for reading “I sat in the window,” I waited 40 years after college to begin writing and now it fills my life with such abundant joy. I have had Short stories and other writings since February 20 and slowly I am beginning to understand all the intricate details and nuances of using it. I just started following your blog and I’m really enjoying your English poems. I speak Spanish, so I think I may be able to understand with moderation your Italian poems. I know you follow my blog, grazie mille for your support! Thanks for visiting my blog. Your words are inspiring. Anna, thanks for visiting my blog and leading me to yours. As you can see, I love writing about and experiencing all that Italy, the home of my ancestors, has to offer. Great poetry! Auguri! Grazie a te, buon blogging! I like what you’re doing with your poetry and short stories, and I appreciate that they evolve from two different personas and languages and seasons. Thank you for stopping by my blog and “liking” my most recent post. I so understand what you mean by writing different feelings in different languages. Thank you for liking my Agave chapter. It was very encouraging receiving it. You have no idea how wonderful it was after having put it out there for there to have been some acceptance. Thank you sincerely. I am now Following you and will look forward to seeing what all you have here. Thanks for the like on my post! 🙂 And keep up the good work on your blog to! Very nice blog, appreciate you stopping by my crazy un paid blog. You know you´re the second poet that I follow that writes both in English and Italian, actually I find it quite nice, nice to the ear the sound of poetry reading it in Italian. Sometimes I even read it out loud….I´m weird. Since I´m Spanish I can sort of understand a little of Italian, although obviously English is much more better to appreciate. Looking forward to reading more posts in your blog. Your writings are very well.. Keep it up.. I will, writing poetry is very important to me. Thank you for your comment and encouragement! Hi Anna ~~ Thank you for visiting From My Inbox and letting me know you liked my post. I’m so glad it led me to your blog…I’ll be a frequent visitor! Hi Suzy, glad to read your comment and for your visit, hope you like what’s posted here as well! Thanks so much for liking my post. It is encouraging for a new blogger like me! Absolutely in love with your blog. Anna, your Ayl’s Haiku series is striking. Fantastic that you were able to find those, thank you for commenting on it!! I find no sin in joy, only in the dark appetites without taste or appreciation, seek to find in possession what they fail to achieve or even attempt in communion; an idea they cannot comprehend. I taught for ten years in a school in Melbourne where there were 148 different nationalities represented by students and mothers and fathers. Each had a separate poetry in their soul. I can understand why it is impossible to properly translate poetry. Thank you for your like. I look forward to reading and seeing other posts from you. Happy you understand. With your experience no doubt you know what I’m talking about, thank you for commenting here. Hello Anna, Thank you for liking my blog. That gave me a chance to read your poetry. Now I feel as if I have been on a journey with you somewhere significant. All the best! Glad you got to travel somewhere significant with me. All the best to you too, thank you. Thanks for supporting my blog. You’re a gifted artist. Thank you … your work is beautiful. Thank you Andrea, glad you like my work. Thankyou for visiting my blog Anna … Yours is amazing and I wish to read more ! Hi Meg, I saw this note of yours only now! Seen you around my posts… thank you for visiting, reading and liking, I love your work too. Hi Anna, Thanks for liking my poem “The Rock Beneath My Feet”, I thought I would check out your blog and may I say I love you work! Any tips for writing poems in another language other than your “mother tongue”? Hi Anna, may I suggest a poetry site called hellopoetry. it’s free to join and is only for poetry. Unfortunately your lovely photography may not show, but your written art certainly will. If you never heard of it, I would like to suggest you to have a look. Some rough, some sad, but some very good poems too. That is a good suggestion, thank you for pointing that out. I may sign up and see how it works. Are you on that site? I have been for a few months, as David Patrick OC. With sculpture, poetry and photography, your art is indeed three dimensional. I’m glad you found my blog and liked my post “Practice makes better. I hope that you visit again. A finer “About” page I may never have seen. Absolutely lovely. Now that I’ve hit that follow button, I will be back to peruse your poetic offerings just as soon as I take care of this days more mundane obligations. So keep writing, and I’ll read you a little later. By the way, thanks for your visit. You are welcome and thank you for your comment here that I found now. Forgive me the late reply. Hope you have enjoyed what has been published meanwhile, including the audio versions of the English poems! About damned time I got around to following you, dear. Sorry about that. I do eventually get to those things that really matter….usually. Hi Anna, thank you for visiting my blog and liking some of my poems. I really like your blog and look forward to exploring it some more. Hi Daniel, you are welcome. I hope you found poems that speak to you here wether by reading them or hearing them read by me. Hi Constance, reading your comment only now! So sorry… I do not do Blog Awards at the time but totally appreciate your nomination. Have a wonderful day, blessings!! Thank you Jill, hope you like it over here. Come back as many times as you wish!!! You are welcome Ray! Hope you got to do some reading around here as well and found something you like. Lovely. I find that my works happens like this but in Afrikaans and English. I was hit on the head.. Has that ever happened to you? Thank you so much for liking my poem Harley Heartbreak. I take that as a great compliment. Thanks for liking the poem I dedicated to my sick mother. I like your colorful blog theme. Have a great day! You are welcome. I live with a very sick relative too and … Have a very nice and hopefully serene day! Thank you for liking my poem, “Divine Direction”. How wonderful to speak more than one language. I wish I could read the Italian…the English is lovely! Nice to bump into your blog again. around you know. I went to read your latest work, nice job! What a lovely banner you have. Thanks for visiting and liking Coming of Old Age.